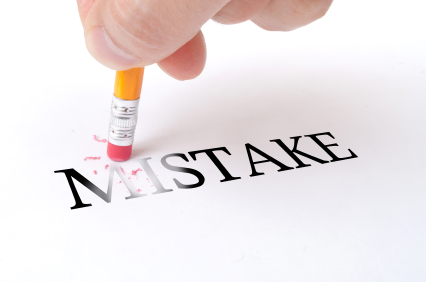 Do You Make These Four Copywriting Mistakes? Science has proved what interviewers and journalists the world over already know – people love to talk about themselves. In a 2012 study by Harvard University Psychology Department, researchers discovered that humans receive a chemical kick every time they are given the opportunity to talk about themselves. As a persuasive copywriter resisting your brain’s bio-chemical urge to talk about yourself is vital because – to put it bluntly – your reader isn’t interested in you. They are not interested in your vision for the future, the philosophy behind your product or new team member who loves zorbing, they want to know how your product or service is going to help them and improve their lives. To eliminate self-interest, the first rule for any copywriter is to eradicate the word ‘we’ in your copywriting and replace it with ‘you’. Even better, replace it with a question including the word ‘you’. Did you think of an answer? Yes, and you did to this question too. Asking a question involves and engages you reader straight away. Identify a burning question that your visitor has, this will show prospects your page has the exact information they need. Formal writing is appropriate for scholarly and technical articles but to create spellbinding copywriting conversational is key. As a copywriting agency one of the main mistakes we see new copywriters make is to adopt a formal prose style for their web copy. 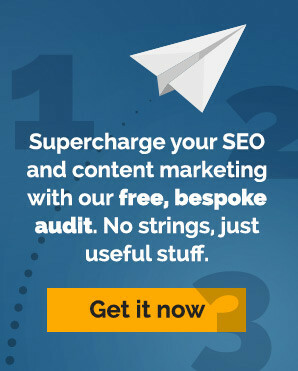 The danger is that visitors presented with a page of stuffy, boring content are likely to bounce out of your site as quick as their back button will carry them. Imagine how you would speak to a customer or even a friend face-to-face about what you do. Would you address them in an overly formal way? Or would you adopt a friendly, empathetic tone? Effective copywriting requires you to think about your target audience. What makes them tick? What kind of language do they use? Using the right tone will help you to connect to your visitors and encourage them to buy. Empty promises and over promising will quickly sour your relationship with your audience. You have probably seen those dubious pop-up adverts for a wonder cream that ‘makes a 75 year old Grandmother look 35’, right? When your copywriting crosses into the realm of implausible then your audience won’t have confidence in what you do. Equally, proclaiming that ‘you are best’ without offering any proof of how you are the best, is also a big turn off for visitors. How are you the best? Have you been nominated for, or won, an award? Do you have glowing testimonials from clients? Do experts in your industry come to you for advice? If you are going to lay claim that you are the best at something, you must qualify how. Whilst there aren’t necessarily ‘right ‘and ‘wrong’ topics to cover, you can alienate your audience by not catering for their needs. As an example, if a blog you follow on home renovation suddenly switches direction by offering diet tips, chances are you will seek your DIY advice elsewhere. It may sound obvious but having established an online following, a good copywriter will keep a flow of relevant, shareable information coming for their readers. If you’re seeking fresh inspiration for your copywriting then read up on what’s happening in your industry – what are the big issues? What’s coming up? How will this affect your readers? Set aside a few minutes each day to find out what is going on and jot down ideas for future posts or articles. For tips on writing blog posts like a pro copywriter try these. We all make mistakes, but that’s how we develop and go on to become better, leaner copywriters. It’s good to share – what copywriting mistakes have you learnt from?